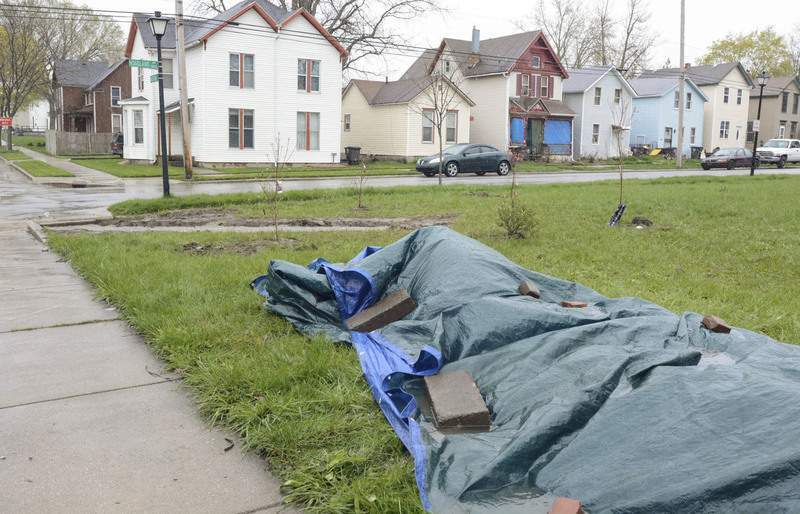 Michelle Davies | The Journal Gazette The corner of Hoagland and Masterson streets on the city’s south side will be turned into a garden memorial for April Marie Tinsley. Rain delayed the start of the project Saturday. Even before it was completed, the sky wept on April’s Garden. Once it is all finished – when the small walkway that was carved by shovels into the thick grass in Saturday morning’s cold mist is filled with engraved bricks, and the five dogwood trees and roses and lilac bushes that were planted begin to take root and grow, and a memorial stone is set into place to remember the girl and not the moment – an official opening ceremony will be held at the southwest corner of Hoagland and Masterson avenues. Exactly when? No one is sure. 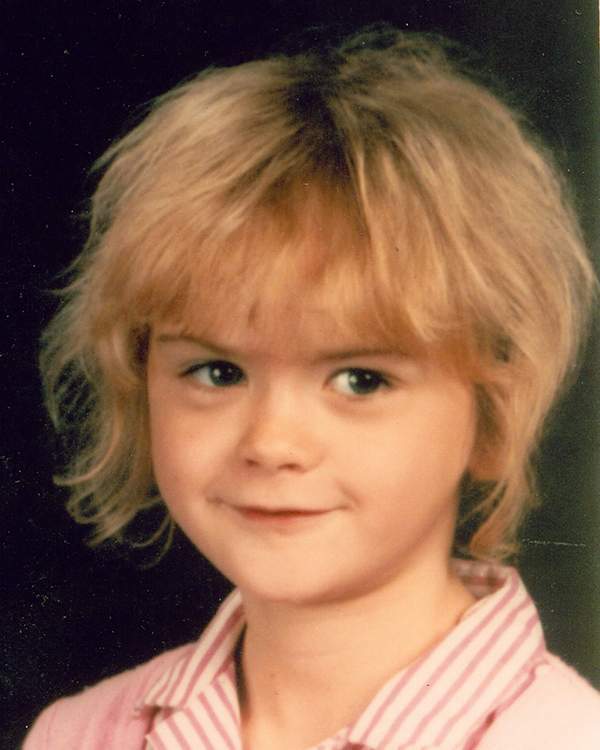 But 27 years after the unsolved disappearance of 8-year-old April Marie Tinsley from the Hoagland-Masterson neighborhood – and the discovery of her body in DeKalb County three days later – construction began on a memorial garden that bears her name. Watching nearby was Cheryl Laisure, whose daughter, Stacie, had played with April. "It should have been done 20 years ago, if not more," Laisure said of the memorial park. The corner property belongs to Jim Obergfell, president of the Hoagland-Masterson Neighborhood Association. There was a time when a duplex home was on the site, but that was torn down and removed nearly 12 years ago. Now, the open lot is where neighbors gather with their children on Halloween, and where dogs such as Kali, a rambunctious Great Dane puppy that was there Saturday morning, can romp when she’s off the leash. "We’ve got donations coming in," Obergfell said. "We’re also selling memorial bricks. There will be some flowers around the edge, and we’ll have some benches donated." Anyone who wishes to contribute to the garden’s construction or buy a brick for $20 may call Colleen Obergfell at 402-1828 or write to 404 W. Williams St., Fort Wayne, IN 46802. Eventually, the morning rain caused a delay in construction. There will be better days ahead. "It should be beautiful when it’s done," said neighbor Tommy Goings, who suggested the idea for the garden yet was reluctant to take credit for it. "It’s based on compassion; a lot of heart. "Life happens, and we’re a community, and we’re going forward."